Thank you for your interest is buying guns online with GunsInternational.com. 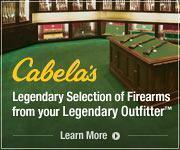 Be confident that you have chosen the right spot to buy your guns and gun related items. 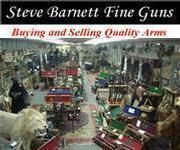 GunsInternational.com gun classifieds currently have over 60,000 guns for sale by numerous dealers and collectors alike. 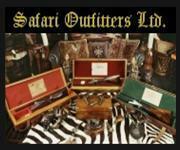 GunsInternational.com’s sellers include the most well respected dealers in the country; from very large dealers to the small specialty dealers, as well as collectors with perhaps just one gun to sell. 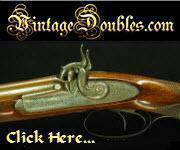 GunsInternational.com is the #1 gun classified Web site for Antique, Collectible and Sporting Arms. Do I need to register to buy on GunsInternational.com? The simple answer here is no. However, there are many benefits to registering as a member on GunsInternational.com. Click here for a FREE Registration . 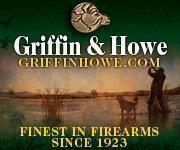 As a registered member you may create a "Wish List" to be notified when a gun or guns you are interested in become available on GunsInternational.com. You may save certain listings that interest you in a "Watch List". You may save certain search criteria to run when you wish in a "Saved Search". As a registered who is signed in, the Contact Seller form will automatically fill in your information for you to send to the seller, assuring that the seller has your correct information to respond to you. You will have an Inbox which will save all Contact Seller emails that you send while you are signed in on GunsInterational.com. 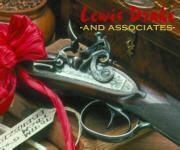 At your option as a member you may receive Gunsinternational.com ENews for important information. What are the fees to register as a buyer? What are the fees to buy a gun on GunsInternational.com? None. Buyers do commonly pay for shipping, transfer fees and any taxes that may be due. This Inbox tool holds all Contact Seller emails and your replies sent on the GunsInternational.com email server. All Contact Seller emails are still sent directly to your email address of record as well. This feature may be used in the event you are traveling, your email service is down, to double check that your contacts are not getting caught in your SPAM controls etc. Inbox stores a maximum of 50 emails. It is not necessary to use the GunsInternational.com Inbox, but is provided as a service to our members free of charge. How do I buy on GunsInternational.com? 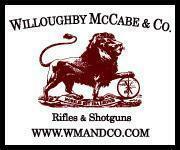 We are an Online Classified Gun Web site that enjoys tremendous success in selling guns as well as gun parts & accessories for individuals and dealers. If you can legally own a gun you can purchase a gun or gun parts and accessories from one of GunsInternational.com’s sellers. All sales are direct between the buyer and seller. We do have a few recommendations 1. Speak to the seller before sending funds. 2. Never send funds without seeing the Verified logo in the Sellers Profile. 3. 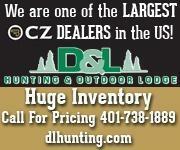 Print out a copy of the listing for your purchase. 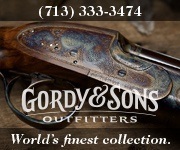 From GunsInternational.com's home page you can access all of the guns and gun part & accessory items for sale on GunsInternational.com. Browse the categories on the home page and when you find a category that you are interested in, click the category name. Now a preview page will open with a preview of each listing available. When browsing guns in the preview pages for sale on GunsInternational.com you may click the photo, title or the link "click for more info", which is highlighted in blue on the gun listing that you are interested in. This will bring up the entire listing with all the details the seller has written on the gun, as well as extra photos they may have entered. Within the entire listing there is a complete description and photo previews. These photo previews enlarge by clicking on them. Once a photo is enlarged you may continue to click the enlarged photo and it will continue to display the rest of the photos on this gun that the seller has added to this listing. Included within the detail listing is complete Sellers information and the "Contact Seller" form. 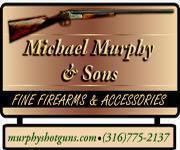 In the contact seller form you may fill in any questions of the gun, make an offer or ask any delivery questions on the gun. If you are not signed in you may get a Captcha request to either select images that apply from those provided or to check a box to prove you are a live human using the website. Why do we have that pain in the neck Captcha to complete? To stop unsavory people on the internet from using our site to send spam and scam mail. Once you have completed the form simply click send. If you are registered and signed in you will not get the Captcha request. Also, If you are a registered member and signed in the Contact Seller form with automatically fill in your name, phone and email address. The seller may have listed their phone number in their profile and if so feel free to contact the seller direct. 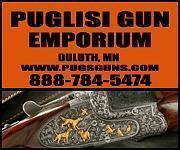 GunsInternational.com is strictly a classified listing service and the transaction is between you and the seller. What is a Verified Seller? The verified icon indicates that the identity of a seller has been confirmed. GunsInternational.com believes that this gives the buyer an extra measure of security. 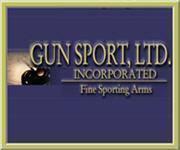 To verify ID GunsInternational.com uses a third party Merchant Services Company. In addition, GunsInternational.com confirms via a personal phone call to the seller. If you do not see the Verified Logo above the Sellers profile do not send any funds. It means the Verification process is still under way. Below is an example of the Verification Logo as shown above the Sellers Profile in an individual listing. How do I search for better results? The first is the Quick Search box located on all pages at the top in the Navy Blue navigational bar. In the Quick Search you can narrow using the drop down of Rifle, Shotgun, Handgun, Revolver, Pistol, Gun Parts (Although this is not necessary). You may enter multiple criteria i.e. Browning Diana 410 The search will return All exact matches. The exact wording must be present within the listing to be returned in the search results. You may wish to leave out punctuation or abbreviations as they may not match the text of the listing. 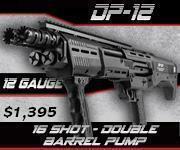 i.e use 410 versus .410 or 410 ga. or 410 gauge. The Advanced Search both mini and detailed. The Mini Advanced Search is available by hovering your mouse over the Advanced Search text next to the Quick Search. The Mini Advance Search will drop down. To access the detailed Advanced Search double click on the Advanced Search text on the Navy Blue navigational bar or click the "Show me more options". Within the Advanced Search you may, as in the example above, fill in Keyword as you would in the General Search. In addition in advanced search you may also search within a category, location or within price parameters etc. The third search is our Saved Search. To create a Saved Search you must be registered. You access the Saved Search under Buyer Tools on the home page. The Saved Search is the same Search technology as the Advanced Search but the criteria can be saved and run at your leisure without having to fill it in over and over. Search results are drawn from the title and descriptions within the listings. Many listers abbreviate and magnum would not bring back Mag for example. Make an informational change in your Profile? To change your email address, update credit card information or any other information in your Profile. Sign into your account with GunsInternational.com. Put your mouse over Buyer or Seller Tools on the main navigational bar and a drop down menu will appear. Choose the Profile option, by clicking on it. Your Profile will open. Make any changes you wish. Be sure to check the boxes next to your personal information that you would like displayed in your listings. Click on the Save Changes button at the bottom of your Profile information. Remember when you change your email address that your sign on will now be your new email address. How do I use Tell a Friend ? There are two Tell a Friend features on GunsInternational.com. 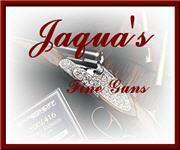 One located on the left of the page at all times is to Tell a Friend about GunsInternational.com. 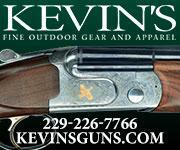 The second is accessed in a specific gun listing and it states Tell a Friend about this listing. To utilize simply click on the link "Tell a Friend...". Complete the pop up form, (double check your friends email) fill in the code and then click send. If you have completed this code prior the system will remember you and you just need to check the box that says I am not a robot and click send. How do I use View All by this Seller? Simply click the link and in the full listing format and all listings currently available by that seller will come up for you to browse. How do I use the "Watch this Listing"? 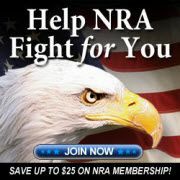 You must be a registered member and signed in on GunsInternational.com to use this feature. Click the link "Watch this Listing" and it will automatically be saved to your "Watch List". You may view your "Watch List" by placing your mouse over the "Buyer Tools" on the navy blue navigational bar. In the drop down from Buyer Tools click on Watch List and all listings links that you have placed there will be available. Watch items are removed by clicking the remove this listing button or if the seller has removed the listing from GunsInternational.com. How do I create a "Wish List"? 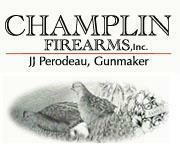 You must be a registered member and signed in on GunsInternational.com to use this feature. 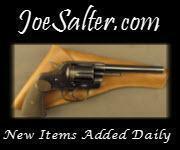 “Wish List” will match your filled out form nightly with all the “New Today” gun and gun part & accessory listings. You will receive an email when there is a match to the criteria in your Wish List. First name the Wish List, so you can identify that "Wish". Next fill in the criteria that are important to you, , and save it. 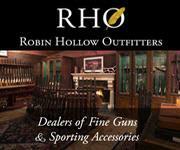 Complete a saved "Wish List” for each gun you wish to receive an email notification from GunsInternational.com. 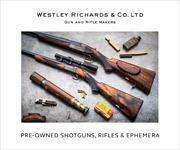 Once you have saved the "Wish List", you will be emailed automatically when guns added to the site for sale match your specifications. Broad Wish Lists: Fill out one search criteria such as the Manufacturer or a Category. The Screen Name will only give you results for that seller....this is not for you to fill in your screen name. The search may be narrowed by selecting more then one criteria. 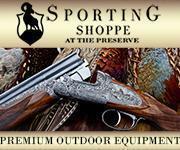 The results will only include Browning Diana 410 listings. Note: if the seller did not put the same text in thier listings it will not be a match. Be careful how much you narrow it down. The Keyword searches the title and description and must match the text written in the listing. The word entered in the keyword box must match the text the seller uses exactly. The keyword phrase entered in the keyword box must match the text and order of the text the seller uses exactly. As no two sellers write their titles or descriptions the same, less is better here. Example: S&W can be tricky as some will fill in S&W and some Smith & Wesson. You may wish to create 2 Wishes for such a Wish. To edit Wish Lists that you have created: Sign in to GunsInternational.com, proceed to Buyers Tools and down to the Wish List section. Click on Wish List. To edit a "Wish" click the edit button next to the Wish you would like to change. Make any changes you would like and then click the save button. To delete any Wish List notification emails, sign in proceed to Buyers Tools and down to Wish Lists, simply click the delete button next to the Wish List that you no longer need to receive. You will receive a warning pop up that tells you you can not undo this action. Simply click OK and the Wish List will be deleted. How do I create a "Saved Search"? 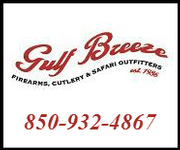 “Saved Searches” will search all the gun listings or Gun Related listings on GunsInternational.com, without you having to fill in your criteria over and over again. In the Saved Searches page, click on the button "Create a new saved search"
Name the saved search so you can identify that search. Next fill in the criteria that are important to you, , and save it. Complete a "Saved Search” for each gun you wish to run searches for. Once you have saved the "Saved Searcht", you can run at will by clcicking on the view results button. Broad Saved Searches: Fill out one search criteria, such as the Manufacturer or a Keyword. Example: S&W can be tricky as some will fill in S&W and some Smith & Wesson. You may wish to create 2 Saved Searches for such a Search. What is the return policy of buying guns on GunsInternational.com? Return Policy Guidelines of GunsInternational.com Unless the buyer and seller agree to modify, as may be the case in a new gun, layaway and for used guns it must be clearly marked in the listing as No Return, the return policy is three (3) calendar days from the day the item(s) are received by the buyer or delivered to the FFL acting for the buyer. The item may be returned for any reason, but the buyer must notify the seller within the three (3) calendar day inspection period. The buyer must start the return within the next four (4) calendar days to receive a complete refund, less all shipping, transaction fees and FFL charges. In other words shipping must start within one week of receipt of the item(s). The return shipping must be of equal shipping level, including insurance i.e.. Priority, Express, Blue Label etc. The return item MUST be in the same condition as when shipped to the buyer. This is an inspection period only, a gun is not to be fired or disassembled. Sellers written permission is required to allow the buyer to take down a takedown model during the inspection period. Upon the receipt and inspection of the returned gun, the seller agrees to issue a prompt refund. Recommendation: Confirm purchase with all details via the Contact Seller form within the listing and print out the listing for your records. Any modification of the 3 day return policy must be in writing by both buyer and seller. The shipper of the gun or gun part who does not purchase insurance accepts the risk of damage or loss, be it the seller shipping initially or the buyer returning. In the event a firearm or other purchase arrives damaged in shipping, the shipper and receiver must cooperate fully to file a damage claim with the carrier. 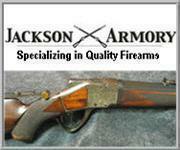 Typically, the firearm and packing is inspected at the receivers address. However, the shipper is responsible to file the claim. No action should be taken until the carrier has instructed on how to proceed. Neither shipper nor receiver will impede the claim. Refunds are not contingent upon the claim. In the event the buyer receives a damaged firearm, the seller will not wait for the claim to be processed to issue the buyer a full refund. 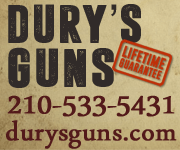 In the event the firearm is damaged when a buyer is returning a firearm to the seller they will need to proceed with the claim for their refund. 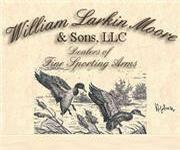 How can I check on a seller that I would like to buy a gun from? GunsInternational.com is committed to its user’s personal and financial information protection. We utilize high levels of internet security to protect your private personal and financial information. While a buyer being defrauded by a seller on our site is exceedingly rare, you must realize that you are dealing over the internet and as such take the necessary precautions. You must gain a comfort level with who you are dealing with on the site. If they are a FFL, ask for their FFL number and check under our FFL links on the ATF Online EZ check system, that they are currently registered. You may also go to www.anywho.com and perform a reverse number look up to make sure they are who they say they are. While it is not our policy we would recommend you speak to the seller via telephone, also have them confirm the details of the sale via email. Be suspicious of any seller that refuses to talk to you on the phone. Do not send any funds to a seller who does not have the Verified logo in their Sellers Profile. Feel free to contact our offices on any seller as well, 727-786-7441. Be sure to clarify the seller's return policy. 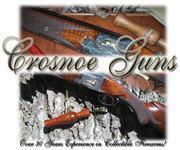 Any modification of the 3 day GunsInternational.com return policy must be in writing by both buyer and seller. Prepayment for the gun is usually required. Be sure to follow the sellers instructions and if possible for your protection pay by credit card and if not pay by US Postal Order for your protection. Be sure to include all of your shipping information, as well as your phone number. How do I legally get a gun shipped to me? 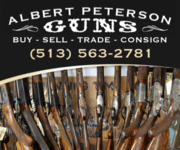 In almost all cases, with the exception of antiques, the transfer of a firearm requires the assistance of a local Federal Firearms Licensed Dealer (FFL). 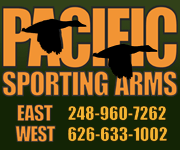 More than likely you would need to arrange for a local FFL to accept the gun for you and to complete the transfer. If you do not have a local FFL you may use our FFL search to find one in your area that would be willing to complete the transfer. 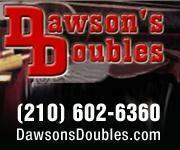 Fees vary widely for this service so you may wish to check with a few. On the left side of home page in the red buttons there is a button "Gun Links" , click this button and access the link State by State Laws that will assist you with accessing all the applicable state and federal laws. Buyers and Sellers are required to know and comply with all applicable local, state and federal laws. I am located outside of the United States, how do I get a gun shipped to me? Contact us: Send an email Support All emails are answered in a timely manner, please include complete and correct information, phone and email address.